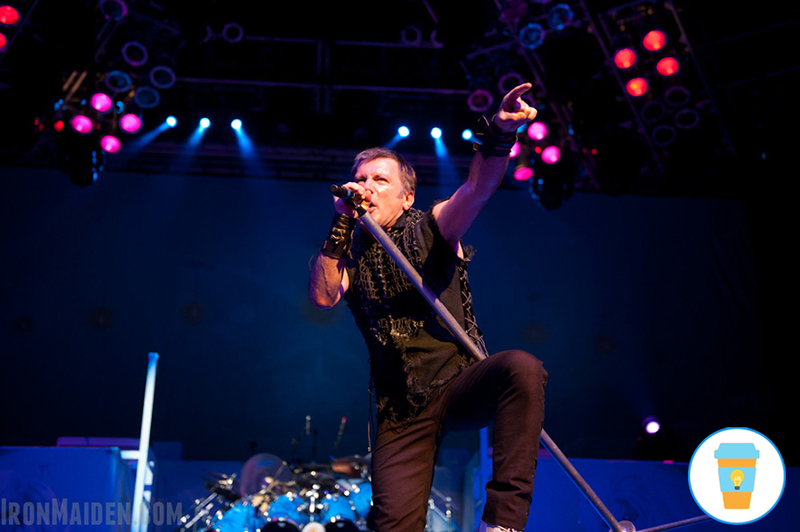 Bruce Dickinson is mostly famous for being the lead singer of Iron Maiden but he's also a reputed business angel, entrepreneur, pilot, marketing director and a lecturer. Enjoy this compilation of tips on entrepreneurship transcribed from several business and innovation related lectures given by the musician during the last few years. That’s the way things often get created in business and entrepreneur world. Start with anything interesting, follow the trail, see what arrives, bring it in, talk to people, daydream, brainstorm, what if, what if, wow! We could do this, we could do that. I enjoy the challenge of creativity, and I enjoy working with talented individuals and building a team. Bring in the poet, bring in somebody else, bring in the mathematician to criticize your poetry, bring in a physicist to talk about the universe if you wanna write poetry. Maybe that will inspire you to think about things in a different ways. It doesn’t all have to be a one way street. Hope for the best, plan for the worst and always have a plan B. When things go well, know your weaknesses and don’t be afraid to bring in resources to cover them or simply employing someone to help. There’s a fine line between letting costs spiral out of control, and cutting off your nose to spite your face. The music industry has been trashed by Apple, Apple has tried to trash just about everything except Apple. That’s their model. “Yeah man, we’re hippies”, yeah right. What they do is very clever, one have to take the hat off to them. What they did, of course, was take advantage of the music industry. They have created a culture in which you have to make music because that gives you the moral authority to go and play live and still exist but effectively everybody is going to steal it or get it for a fraction of what is was worth a while back. Is that a bad thing? Well, yes, it makes life a little more tedious but on the other hand the music is gonna be for free but the t-shirt is now gonna cost you a hundred bucks. So in fact, things have just shifted. Corner shops open up all over the world and then 80% of them shut by a year later. They all fail ‘cause they’re doing the same all thing that a corner shop does. What does your corner shop do that the other corner shop or coffee shop or whatever it is do that nobody else can possibly do? And if you can’t answer that question and give that to a costumer, you are on you way to oblivion, as most startup business end up in the end. And that’s a sad thing, so if you know before you start what are you going to bring to the market you stand a really good chance. The only thing you have in the music world that you can sell is your integrity and in the business world that would be called “your brand”. With Iron Maiden we have created our own niche, our own identity and we resist the rest of the world in trying to change it, because we exist and we do not adapt artistically to any other regime except our own. Customers are bad things ‘cause costumers have a choice and customers will go somewhere else. So, what we want is for our customers to be our fans. If I change the word “band” –one letter- and I call it “brand”, that’s exactly what we are as well. We have to keep our fans as fans. How do we do that? One of the ways we do it is with integrity. You tell the truth. I feel more comfortable turning things down because they not right than just going: “oh yeah, yeah, any publicity is good publicity”. Nonsense, that’s not true. Determination is actually 90% of or more of success because there are loads of talented people out there, thousands. There are plenty of singers with great voices, they born every minute, but having a spark, something special, great but is determination and having that team around you that’s gonna make it work. If you are with a group of many people and you want to encourage creativity, the best thing you can do is leave them alone. Don’t interfere because it’s like being a parent. The worst thing you can do for your kid is like, if they come up with an idea and you immediately go: “that’s a great idea, let me improve it for you” because you kill it right away. Because the person goes: “oh, my idea was good but not good enough for that”. The best thing you can do for your group is go away and make the coffee. Take like 10 or 20 minutes and let them come up with the solution… and sometimes they might come up with a better solution, the one you didn’t see. In many ways the world of rock and roll is not so very different from business. There are plenty of examples of CEO prima donnas who have made the headlines for all the wrong reasons that would put most rockstars to shame. Whilst personal morality has always been a moveable feast amongst artists, artistic integrity is often non-negotiable. When you are in this music business world and people say: everything is different now, it’s all-digital”. Take a step back and say: “Who are our costumers? They are human beings. Have they changed?” No. “What are their needs? Have they changed?” No. “What do they want? They want to be entertained. Have they changed?” No. So the only thing that has changed then is how we deliver the bits of entertainment. Is that a problem? No, not really. The problem is when you deliver them rubbish. And if we can all remember that, that we are all about making human beings feel better, the we can spend the rest of our lives actually being better people ourselves and doing wonderful things and try to feel other people better. Turn yourself into the “ultimate virus”, something that consumers or corporations can’t live without. You have to get in the head of consumers as being indispensable. Fame is the excrement of creativity.